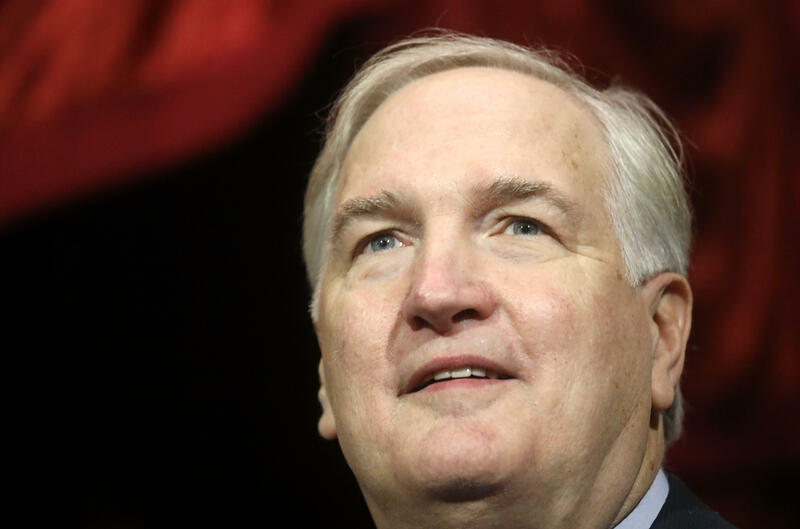 The Republican race for Alabama's Senate seat is headed for a runoff as neither former state Supreme Court justice Roy Moore or Sen. Luther Strange managed to get 50 percent of the vote, despite Strange's endorsement from President Trump. The runoff will be held on Sept. 26. Strange was appointed earlier this year to Attorney General Jeff Session's former seat, but his appointment has been clouded in some controversy since Gov. Robert Bentley resigned soon appointing him. At the time, Strange had been the attorney general investigating Bentley relationship with a former aide. Both men deny any wrongdoing. Moore was kicked off the bench last year after being found to have encouraged probate judges to deny marriage licenses. A disciplinary court had removed him from the bench in 2003 for refusing to remove a 10 Commandments statue from the state judicial building, although voters re-instated him as chief justice. Strange and Moore faced off against U.S. Rep. Mo Brooks, a member of the House Freedom Caucus from northern Alabama. Doug Jones, a former U.S. attorney, won the Democratic nomination over Robert Kennedy Jr., a businessman with no relation for famous powerhouse Kennedy family. The top Republican contenders were Strange; Rep. Mo Brooks, a member of the conservative House Freedom Caucus; and Roy Moore, a strongly religious former justice of the Supreme Court of Alabama. Moore was leading in polls leading up to the special election. The Republican and Democratic victors will face off on in a general election December 12. But most of the focus in the race has been on the Republican candidates. Alabama, a deeply Republican state, hasn't had a Democratic senator since 1996. Mr. Trump took to Twitter leading up to the election to voice his support for Strange, and recorded a robocall for him. Mr. Trump is popular in Alabama. According to Gallup, Mr. Trump has averaged a 55 percent approval rating in that state during his first six months in office.